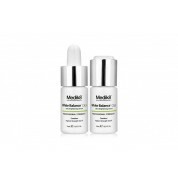 The Medik8 skincare line contains a special collection of products that are all aimed at correcting various skin blemishes and problems, called Medik8 Correction. 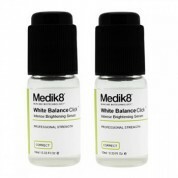 Within the Medik8 Correction collection, you will find unique skincare products created especially for certain skin issues such as dark circles, uneven skin tones, signs of aging, and extremely dry skin. This means that no matter your skin type or issue, Medik8 has the perfect skincare product for you. All of the products within the collection are also made completely free of any harmful ingredients in order to ensure perfectly safe application to the skin. For example, the Medik8 Dark Circles includes potent and powerful antioxidants and peptides that work to lighten any dark circles, bags, or puffiness around the delicate eye area. The product also contains ingredients that help lift and tone the skin for a more youthful, firm, and healthy appearance of the skin around the eyes. There are many other products within the collection of Medik8 Correction that help fix or correct similar problems such as uneven skin tones and aging skin. The ingredients that go into each of these correction products are completely safe for the skin and are combined together using green chemistry technology so that you can feel confident you are using the best and safest product for your skin. If you are interested in Medik8 Correction, or would like to learn more about the brand and what else Medik8 has to offer, you can take a look over at SkincareByAlana. 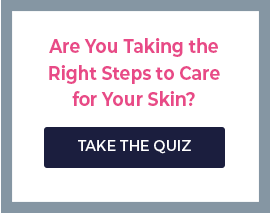 This site offers many different skincare lines that are both safe for the skin and effective. Each brand made available on the site is handpicked in order to ensure quality results. There are often great deals and savings going on at SkincareByAlana and all orders made from within the U.S. are shipped completely free of charge.